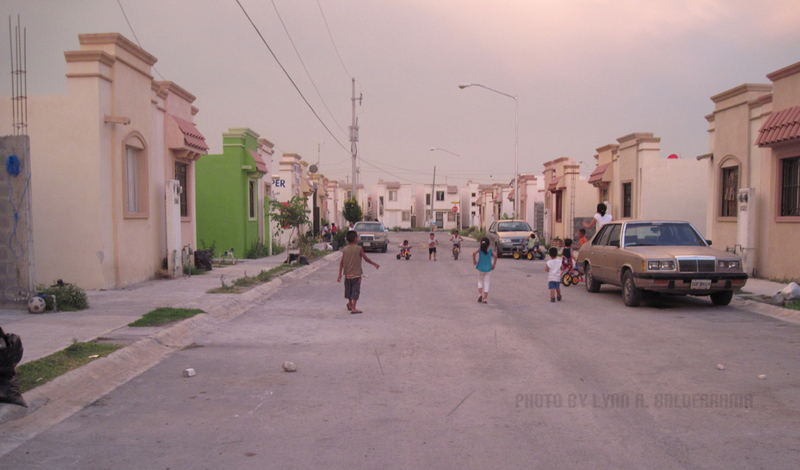 In spring of 2010, we moved to a densely-populated housing community. “Palmas,” as we call it, is located about 35 minutes from where we had been living previously in Monterrey, Nuevo León. We were fortunate that a family friend lent us, and later let us rent, his house while he was out-of-state for work. Within a few days of living there, a couple of people had come to our door requesting to buy eggs. We apologized, letting them know we didn’t sell eggs, and they went on their way. One time, there was a girl with the same request as the others’. When we told her we didn’t sell anything, she said thank you, and added that we should expect to have a lot of people ringing our doorbell; the previous tenants were well known in the neighborhood and had a lot of egg customers. Aron and I had not initially planned on residing in Palmas. We had arrived there intending to stay only for a week or two, as a change of pace. But surprisingly, Aron agreed that it would be nice to live there, on our own for a while. And as more and more people rang our doorbell, we essentially thought, “We can do this!” — since we already had customers, we may as well sell them eggs. 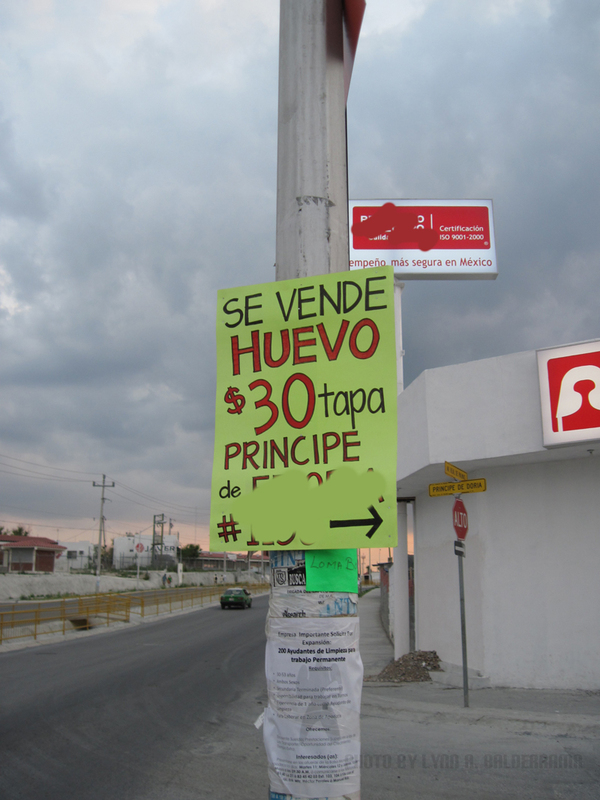 Now, in early 2010, there was very little access to “big box” stores around Palmas, or anywhere in the town. Near the entrance of Palmas was a store called Merco, but its packed aisles, odd store organization, and inconsistent availability of product left something to be desired. There was a very small version of the chain store Bodega Aurrera up the main avenue of Palmas, but we never even stepped inside there because it was not convenient. There was a pretty good butcher shop not far away, still along the same avenue; many people went to this store because aside from meat, they had all kinds of other products. But this was still a good half-mile from our neighbors and us, and since at that time there was still a majority of residents who did not own cars — and as with many women, residents who did not drive — the walk was still not very appealing for those who wanted to do their shopping, especially if they had several young’uns tagging along with them. Numerous residents had their own, tiny neighborhood stores attached to their homes, so most people did their daily purchasing at these stores and took the bus/got a ride to a bigger store for anything else. Not all little stores offered eggs, but pretty much all offered household necessities such as cooking oil, tortillas, Coca-Cola, toilet paper, dry beans, and coffee. And Tang, of course (before living in Mexico, I had no idea there were so many flavors of Tang)! So we decided to sell eggs at a lower price than the competitors, to earn our reputation and see how it would go. We purchased them by the case from a wholesale market* in Monterrey. Aron knew of this market because it was where Tío Paulino (our beloved uncle; may he rest in peace/QEPD) bought the ears of corn for our aunt to sell prepared elotes on the street, years ago. Since we visited Monterrey often in Aron’s Ford Explorer, it became part of a routine to be back and forth to buy at the market. Aron is extremely shy (inhibitingly shy), and I was still limited on my vocabulary with this type of thing. It was nerve-racking for this anxious duo to locate what we wanted, but we got used to it. It took some weeks to find the suppliers we liked, and months to find the brands of egg we wanted to sell. We sold them by tapa (a full flat/carton of 30) and media tapa (a half flat/carton of 15). We put up signs in the neighborhood and on the windows of our home, and we were able to bring in quite a few regular customers during 2 years of business. It was enough to sustain us for a while (but there were times when we had a little help from our friends — thank God for them). 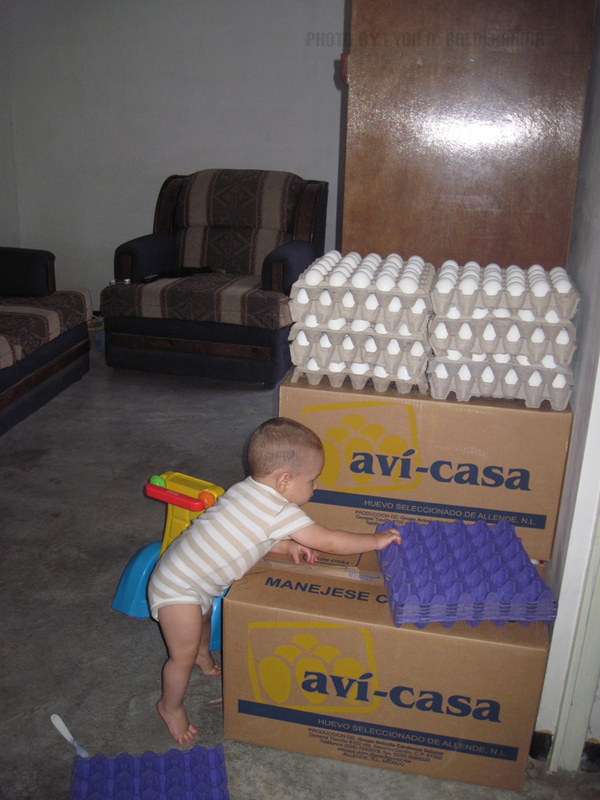 I mentioned to Aron the other day that I missed selling eggs. He feels the same. It may seem silly, but we started from something simple like eggs and branched out to all different kinds of products for which we became known. Eggs were only the beginning. We met all kinds of folks, and it opened up a lot of doors for us. Aron and I were able to take the opportunity to work together from our home (and we even set up at the weekly street market outside of Monterrey) and influence other people, even if only in small ways.